Director Fritz Lang remains one of the greatest of silent film directors and Die Nibelungen, a story told in two movies, is one of his greatest achievements. It’s an epic that rivals the spectacle of the director’s later movie Metropolis. Siegfried, the first of the two movies, is an absolute stunner. The film takes place in a mythical land where Siegfried (Paul Richter), son of King Siegmund, works at the shop of Mime forging swords. When he hears the tale of the Kingdom of Burgundy and the princess of the land Kriemhild (Margaret Schon), he sets off to marry her. After defeating a dragon and bathing in its blood, Siegfried becomes invincible. He later takes the treasure and invisibility and transforming mask from a dwarfish king. Soon, Siegfried takes twelve kingdoms with his great power and sets off to Burgundy. 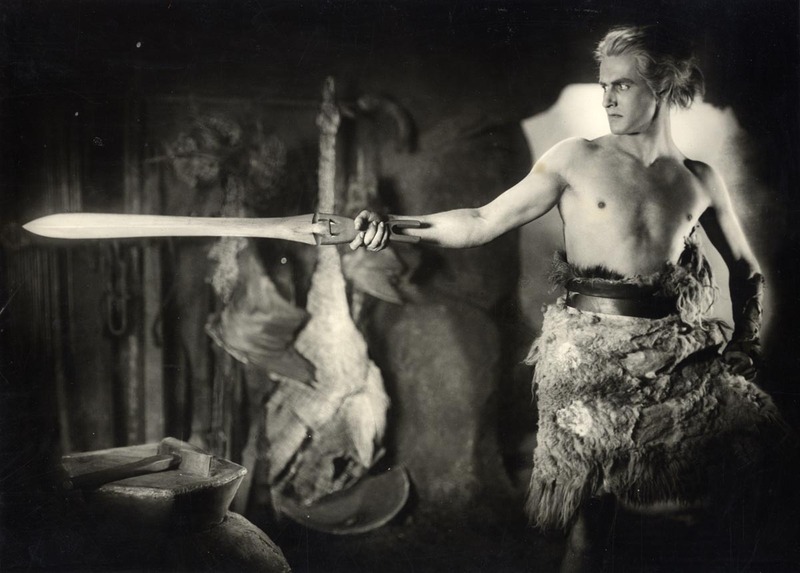 King Gunther (Theodor Loos), the ruler of Burgundy, will only give Siegfried Kriehild if he wins him the hand of Brunhild (Hanna Ralph), the Queen of Iceland who will only marry one who could defeat her in three challenges. What makes Siegfried a marvelous epic is the visual effects, which seem so far ahead of their time. Lang composes such large and stunning sets that rival even today’s standards. The fight scenes are incredibly well choreographed and set. 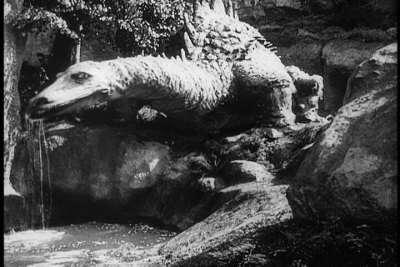 Siegfried’s battle with the dragon is the film’s highlight. Lang uses an enormous puppet to make the dragon come alive and even breathe fire. Lang’s ability to convey emotion also strengthens Siegfried. Like other silent directors, Lang forces his actors to make expressive faces and manages to attain great performances from them, particularly Richter. Through the large score, Lang evokes themes as love, anger, and rage. While it isn’t at the same mastery as Metropolis and M, Siegfried is a great movie, a visually superb film. Editor’s Note: The Blu-Ray edition of Siegfried, released by Kino, gives a great restoration of the film. While some scenes are blurry and scratched, due to the limited amounts of prints, other scenes are well detailed and beautifully lit. The restorers also changed the color of the film to make it look like its original tint. « What’s Your Favorite Tom Cruise Movie? Excellent excellent. You simply cannot give Fritz Lang enough kudos, so congrats on picking this gem. Thanks! I’m a fan of Lang. I’ll be watching the sequel later today. Nice review mate. I actually watched Metropolis the other day for the first time and thought it was great. I’ll have to look into this one. I’ve never seen a silent film, but reading this makes me want to change that. Thanks for the comment. I highly recommend this. Don’t think I’ve ever seen a silent film besides maybe The Artist. This looks rather interesting though. Thanks for the comment. I highly recommend this, though my favorite Lang film is Metropolis. Very cool! I’ve heard of Fritz Lang because of Metropolis but haven’t actually seen his work. Sounds like I have to soon. Thanks! This and Metropolis are great, with the latter being one of my favorite movies. This along with Spione are my favourite Lang films. M is another masterpiece, and so is Metropolis, except for its ending and quite empty political messages. Thanks! I think it’d be between M and Metropolis as my favorite Lang movie, but I’ve loved all of his movies that I’ve seen. I watched the sequel yesterday and have a review planned on Friday. I think I’ll put this in the queue after “M”. Thanks for the review. No problem. Both this and M are great movies.